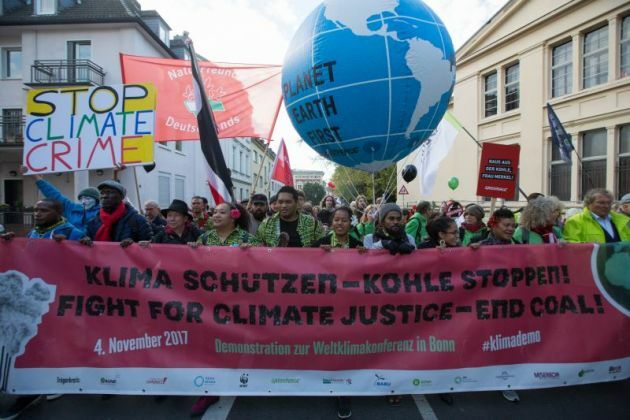 (Photo: © Sean Hawkey/WCC)Thousands of climate activists from across the world took to the streets of Bonn on Nov. 4 just before the start of the UN climate conference COP23 that start in Bonn Germany on Nov. 6, 2017. 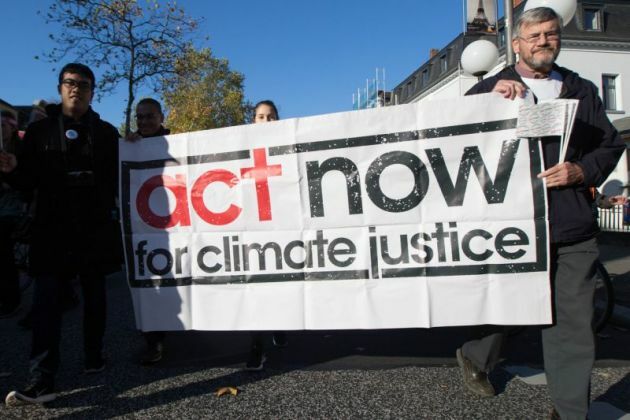 The World Council of Churches, ACT Alliance and Lutheran World Federation that represent more than half a billion Christians worldwide are issuing a united call for action on climate justice, which they describe as the largest call of its kind in history. In a joint video message released on Nov. 5, leaders of the three organizations called upon the decision makers at COP23 to follow up on the Paris Agreement to enable accountable and ambitious action. "We must act together for climate justice", said Rudelmar Bueno de Faria, general secretary of ACT Alliance. "Experts from many of our members will be advocating at COP to ensure that the outcomes reflect the needs and the rights of the most vulnerable". COP23, the UN Climate Change Conference, begins on Monday Nov. 6 in the German city of Bonn and will be presided over by Fiji. Climate change is a reality that needs to be addressed said Rev. Martin Junge, Lutheran World Federation general secretary. "We hear the stories. We hear the pain, we hear the struggle", he said. Nations have a lot to figure out at COP23 said the Scientific American. Cara Horowitz, co-executive director of the Emmett Institute on Climate Change and the Environment at University of California, Los Angeles, School of Law says the 2015 Paris accord "was a landmark agreement," said the publication. "But it left many of the details about [implementation] still to be negotiated." At COP 23, country representatives will work out the nitty-gritty of how to execute the accord, which will ultimately determine its long-term success. "This is quite a consequential meeting," the Scientific American quoted Barry Rabe, a professor of public policy at the University of Michigan as saying. "It represents an important early test of [nations'] resolve to honor what they agreed on in Paris," he said. WCC general secretary, Rev. Olav Fykse Tveit, said, "Let us take this opportunity again in COP23 to make decisions that lead us in the right way. It is about who is affected today, who is living in livelihoods that are threatened by what is happening." With special support for the people of Fiji, the three ecumenical leaders expressed their commitment to continue walking together with their churches and people. They said they wish to address urgent questions and challenges on climate change in Pacific islands region and to advocate that climate finance is secured to enable developing countries to adapt, mitigate and address loss and damage.